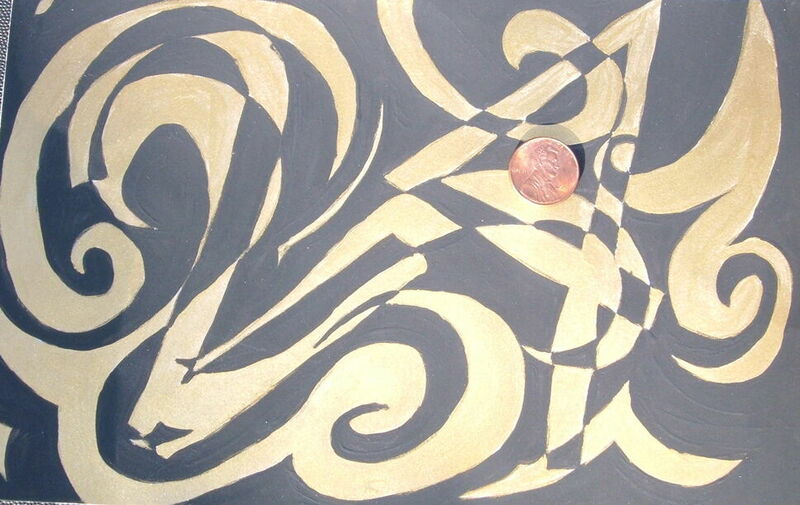 Inspiration / About the Art: I like abstract swirls, and I thought gold and black would be a good setting for a penny. The use of 24 helped make the piece more visually appealing in my overall painting. About the Artist: If you would like to learn more about Janette’s work, you can find it on her deviant art page Quite Possibly Insane. Price: This piece is not currently for sale: There are great reasons to purchase Penny Experiment art. If you would like to purchase 24.version 11.14b #24 or other artwork from this 100 Penny Postcard Art series, please email me and I will put you on my list to inform when this series is for sale.